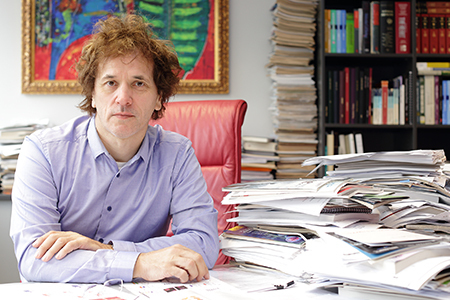 LSI Director and Professor, Dr. Josef Penninger and his colleagues have developed the first three-dimensional human blood vessel organoids grown in a petri dish. These so-called “vascular organoids” can be cultivated using stem cells in the lab, strikingly mimicking the structure and function of real human blood vessels. “Every single organ in our body is linked with the circulatory system. This could potentially allow researchers to unravel the causes and treatments for a variety of vascular diseases, from Alzheimer’s disease, cardiovascular diseases, wound healing problems, stroke, cancer and, of course, diabetes.” Josef Penninger.